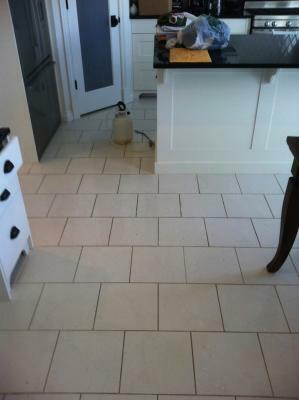 There are two ways to clean your grout lines, one way is to hire a professional tile cleaner, or you can do it yourself.Â If you do it your self be prepared to spend the good part of a day to clean just one modest sized rooms.Â If you would rather have the professionals do it in the Regina area you can phone (306) 721-2045.Â But if you want to do it yourself here is some useful information. Tile Brush - You could use an old toothbrush but I would recommend you go to a home improvementÂ store and get a hand held grout brush. Grout Cleaner - This can be found at your home improvement store or a janitorial store as well, getting a product specifically made to clean grout is important. Grout Sealer and applicator (optional but recommended) - When you are getting your grout cleaner find a sealer.Â Some are made for showers and others for flooring. Shop Vacuum - Will help but not absolutely necessary. Sprayer - a pump up would be best but a hand sprayer could work. 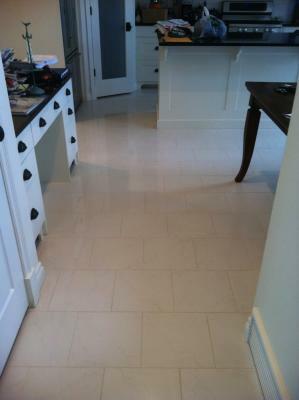 Work on a small area at a time starting at the furthest point from the entrant to the room.Â Apply your grout cleaner to the grout lines in a 2 by 4 foot section.Â You are then going to wait about 5-15 min to let the product start to work.Â The next step is to get down on the floor and start to scrub the grout with your brush.Â Then take your rag and wipe up the mess.Â If the lines are not clean you may have to repeat.Â You then have to rinse the area before it dries.Â Using cold water in your sprayer rinse the tile and vacuum the water up.Â After cleaning the grout lines are cleaned and rinsed they must dry.Â After dry the grout sealer can be applied to the grout lines only.